For many designs, JTAG test has adequate access to on-board signals, but signals that go off the board often cannot be tested. By adding JTAG access to memory socket off-board signals, a JEM_DIMM/SODIMM module can increase the board's fault coverage, possibly reducing the need for developing alternative tests to reach the required test coverage level. The JEM_DIMM/SODIMM module provides a number of JTAG accessible individually controlled test channels that can be used to control and observe signals that go off the board. The JEM_SODIMM200_SOM modules are specifically intended for usage with the Variscite SoM sockets in order to enhance the testability (DFT) of the motherboards the Variscite SoM modules are working with these sockets. The ATPG tools of each of these JTAG test platforms can generate tests with the advanced diagnostics for the socket pins failure detection, as well as sensing analog voltages on the individual power pins (such as Vdd, Vddq, Vddspd and Vref). The JEM_DIMM/SODIMM module TAP channel can be simply combined with any board TAP chain or used as a separate TAP. An advantage over other similar solutions is that the JEM_DIMM/SODIMM module connection setup can be done either with an external TAP cable or completely in-circuit, without any cabling! The modules design is ready for cascading multiple DDR2/DDR3 memory socket testing. 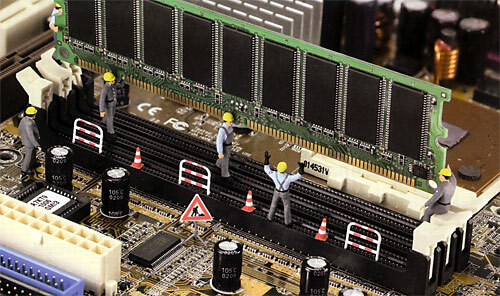 Each JEM_DIMM/SODIMM module features hot-swap capability. Our JEM_DIMM/SODIMM module product line consists of almost full spectrum of the modern socket types, more than 20 types right now, each additional DDR2/DDR3 memory socket type is also accessible upon request. It's worthwhile to emphasize that the usage of any DIMM socket test modules of our competitors needs a customer have a merger software, because these DIMM modules are described by the netlist. In the contrary, we're giving the DIMM socket BSDL file instead, so there is no need to modify the BUT netlist.